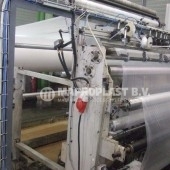 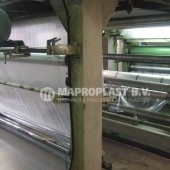 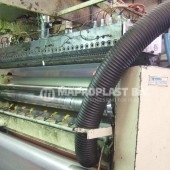 Bubble Film Extrusion. 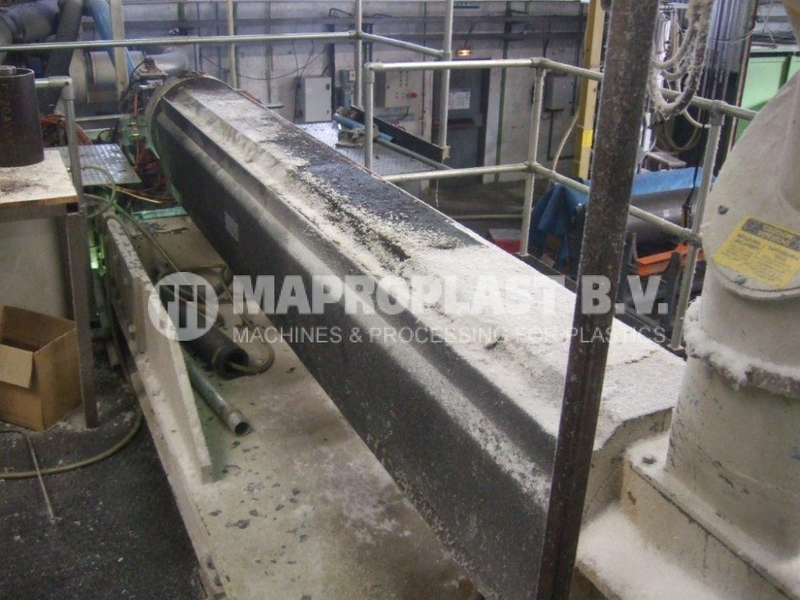 A used Colines Line. 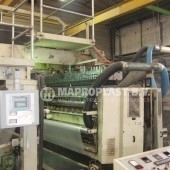 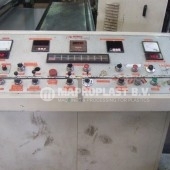 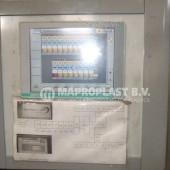 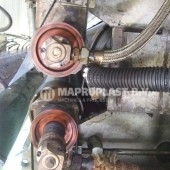 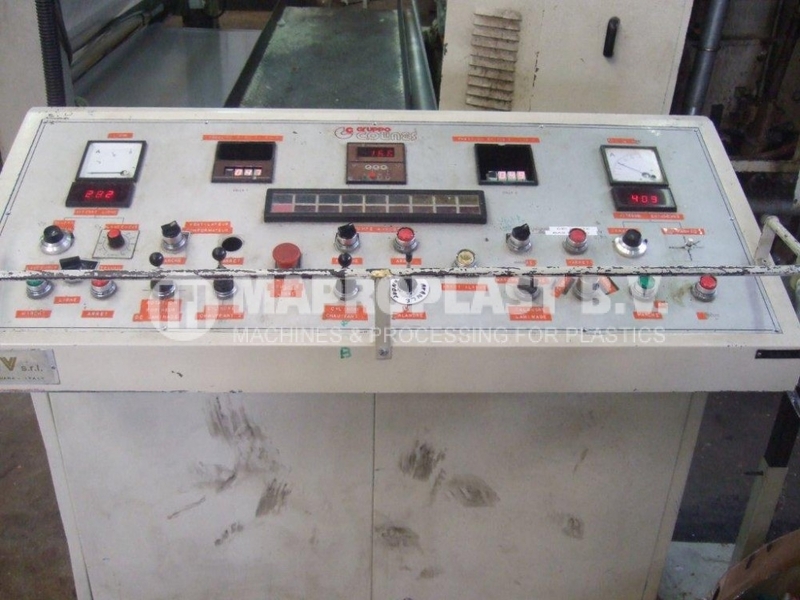 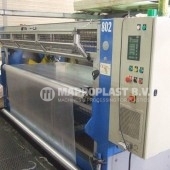 Year: 1983, machine is in good maintained condition, the control panel is modernized in 2004. 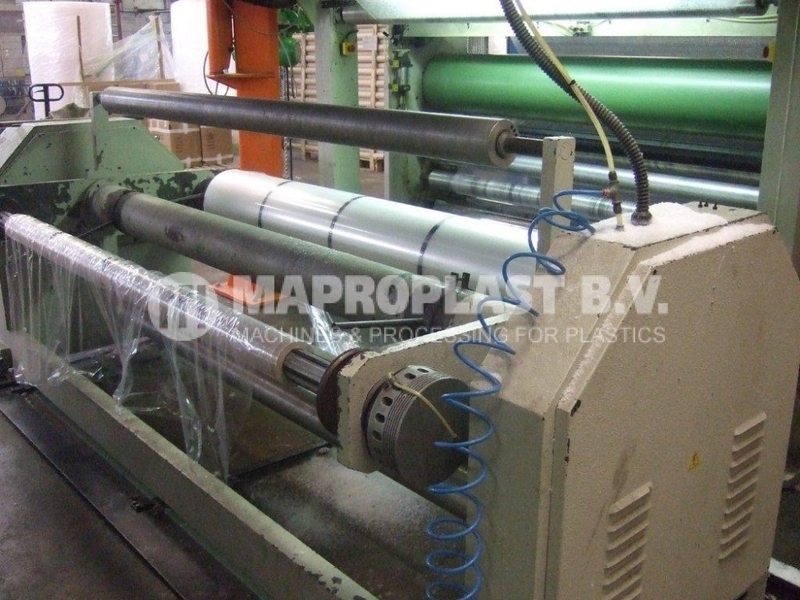 Bubble sizes available: 3 forming bubble types 104 (10mm, 8 month old cylinder) 1808 (18mm) and 3012 (30mm). 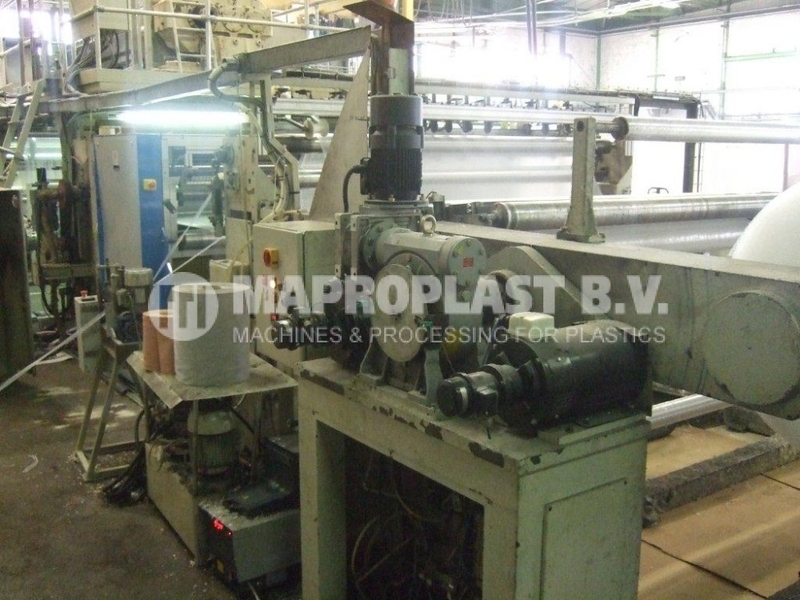 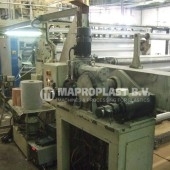 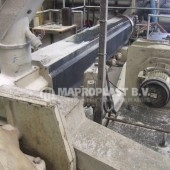 Extruder: 120 mm 32 D.
Output: 400 kg/h, 40 m/min, width 2m. 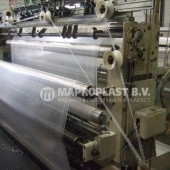 Dimensions (Total) : Length= 14m, Width= 6.6m, Height= 6m. 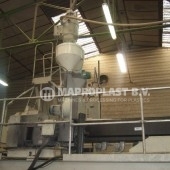 Comes along with : – dosing system color tronic volume dosing system 5 hoppers. 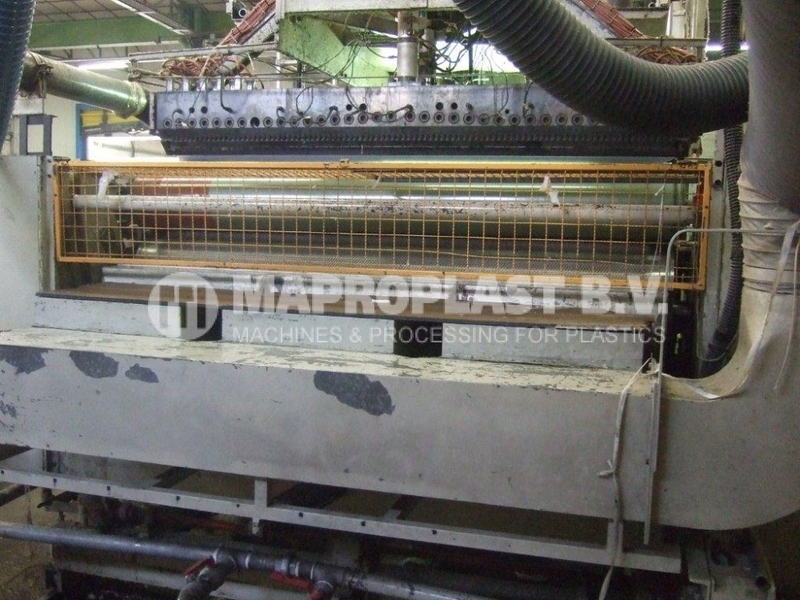 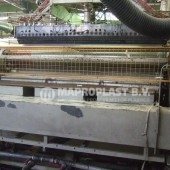 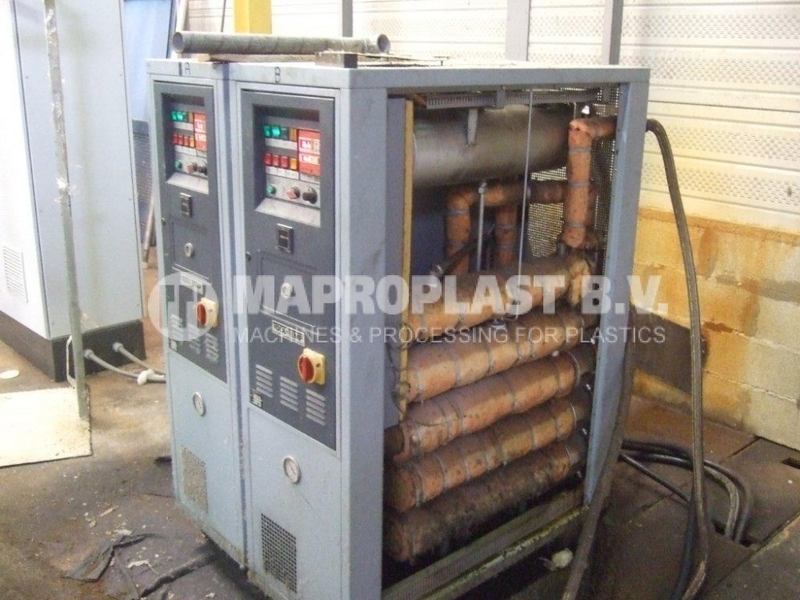 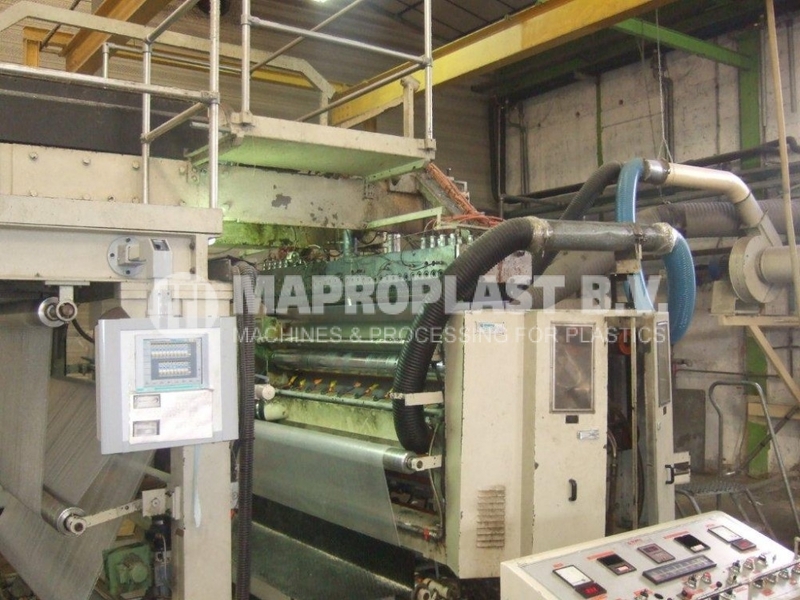 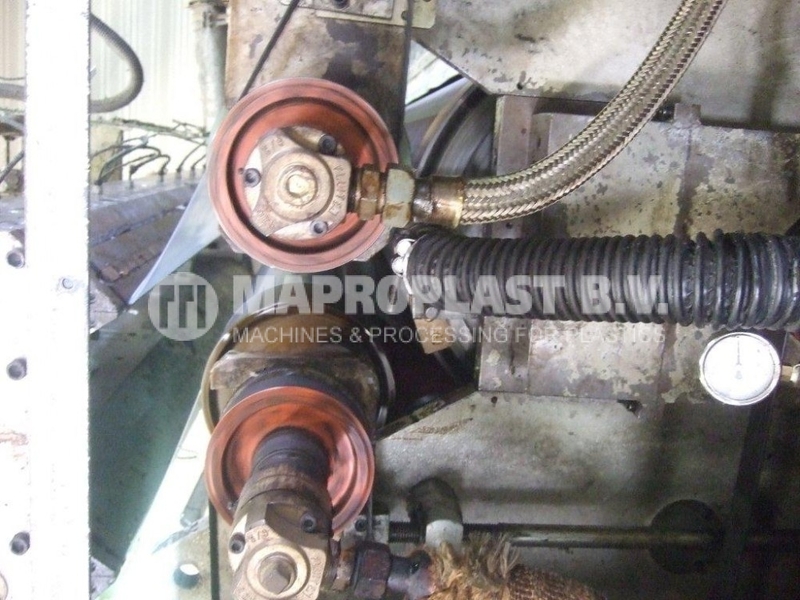 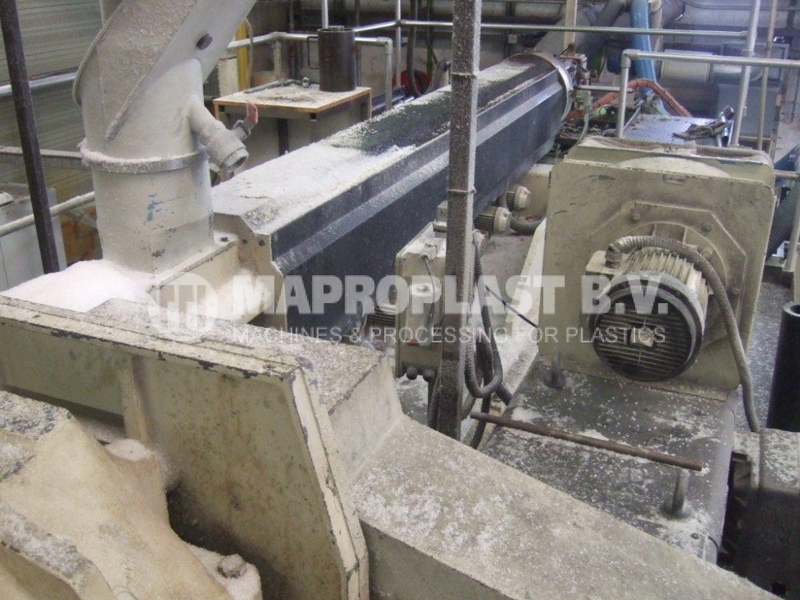 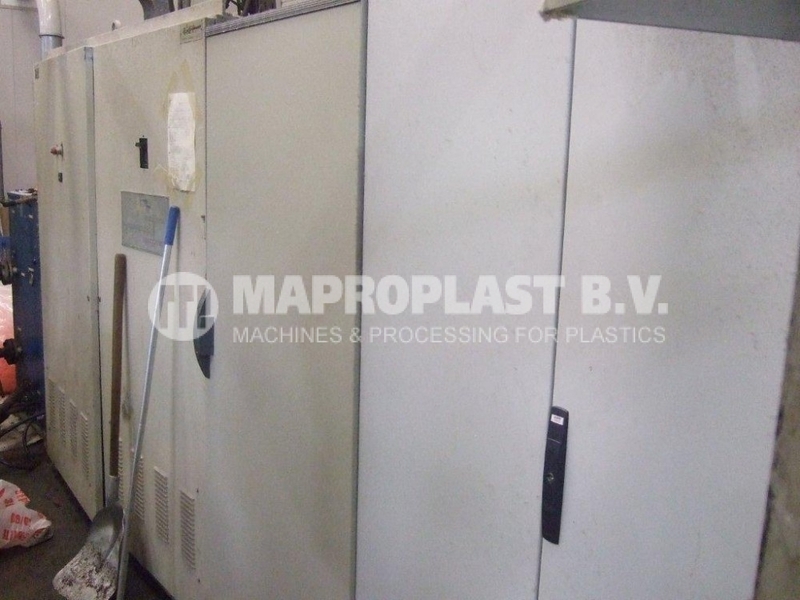 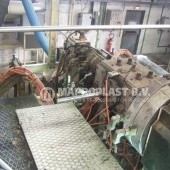 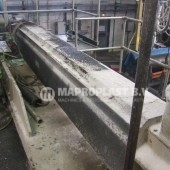 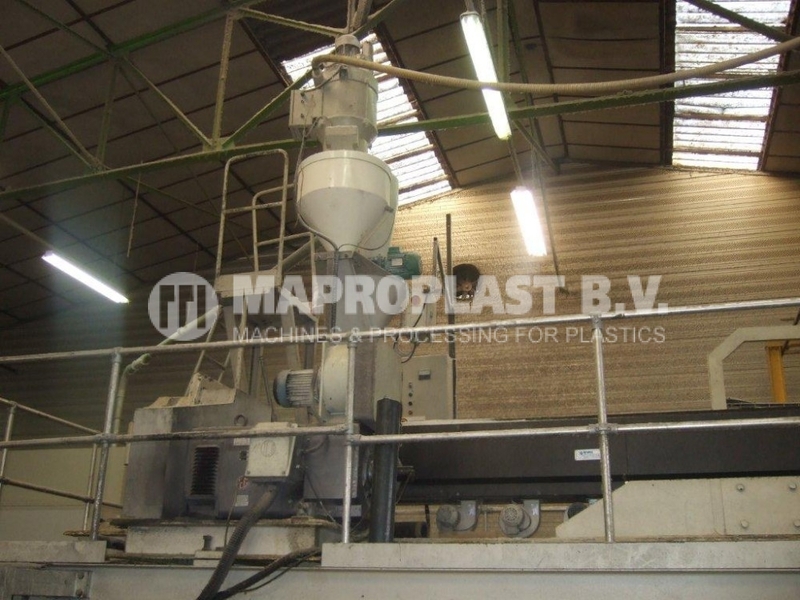 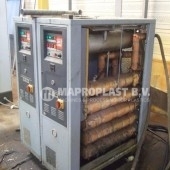 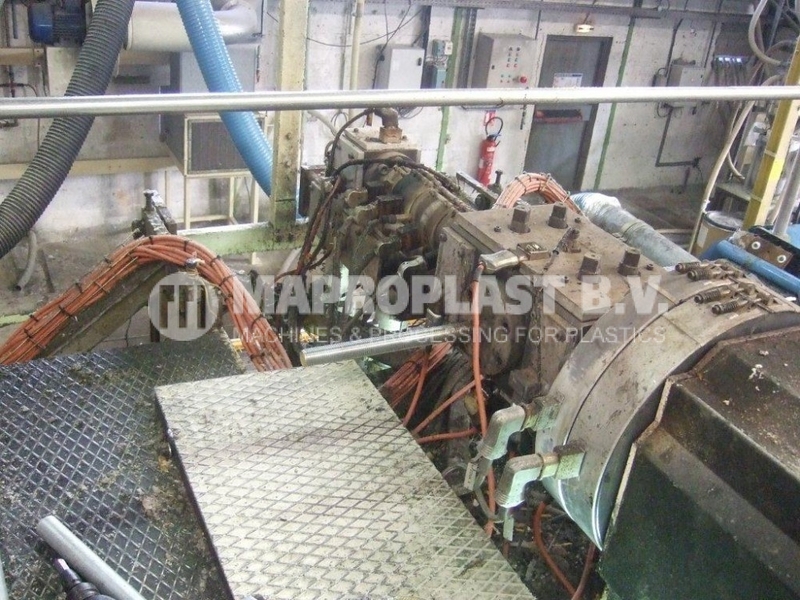 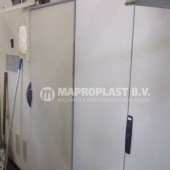 – special system for continous recycling of the filmsides directly in the extruder. 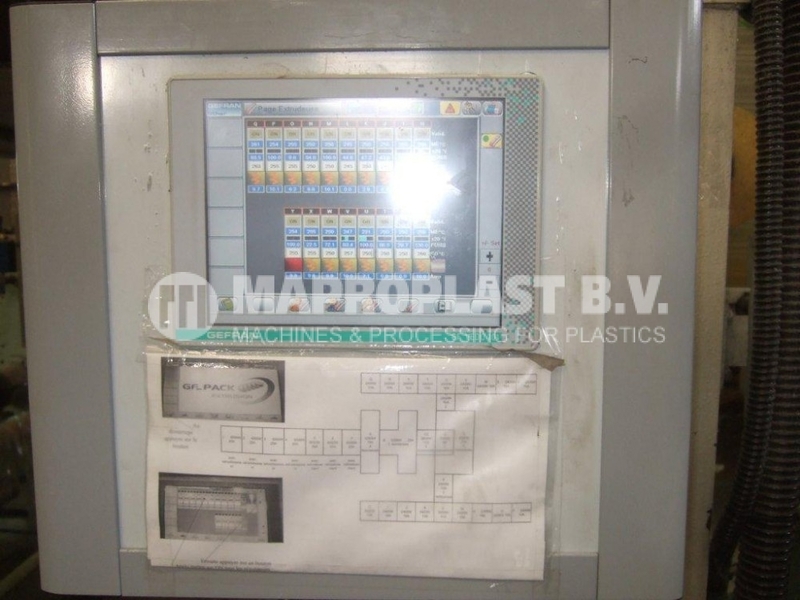 – lamination station on the side of the bubble (process control). 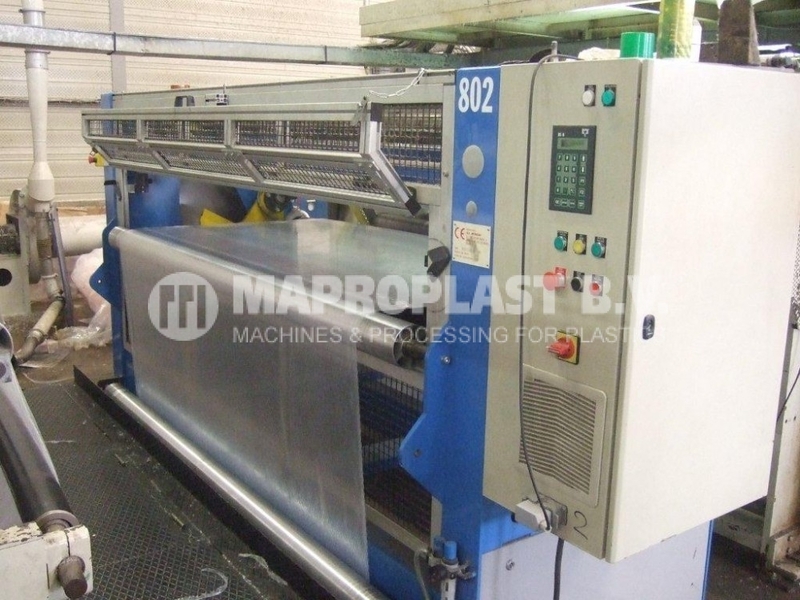 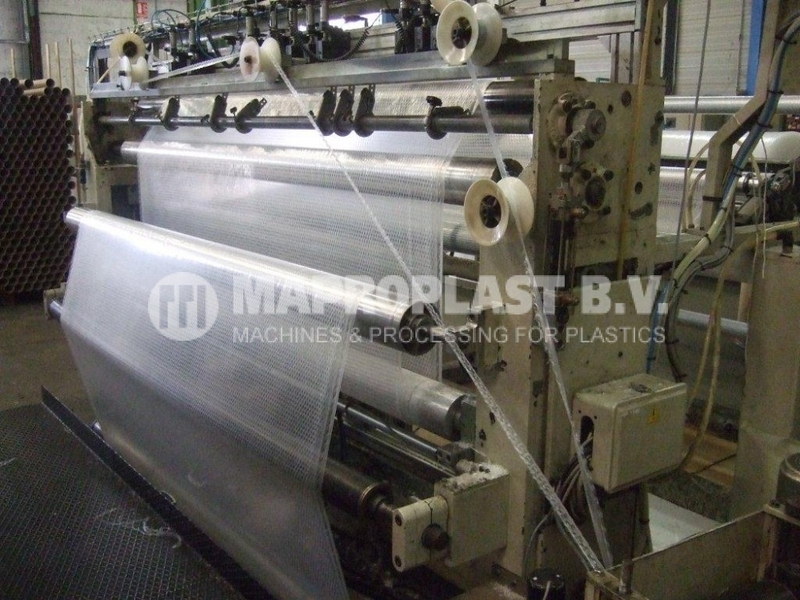 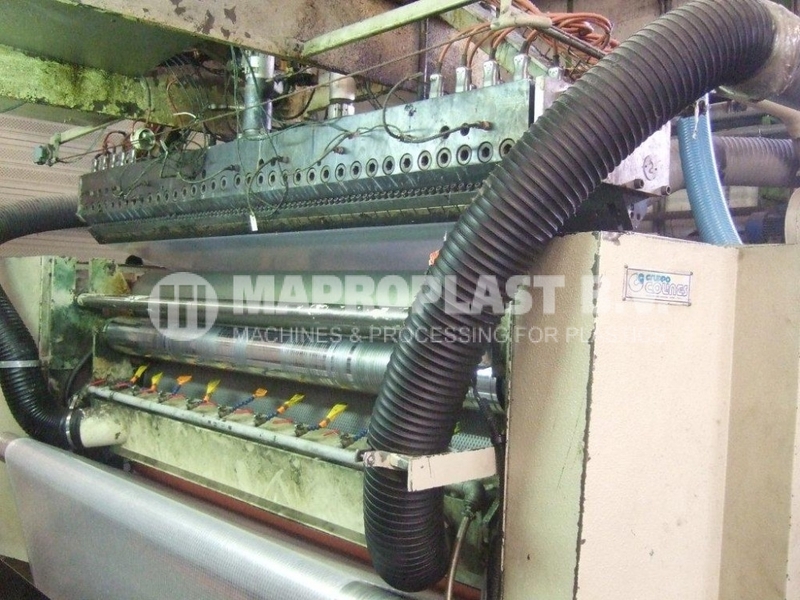 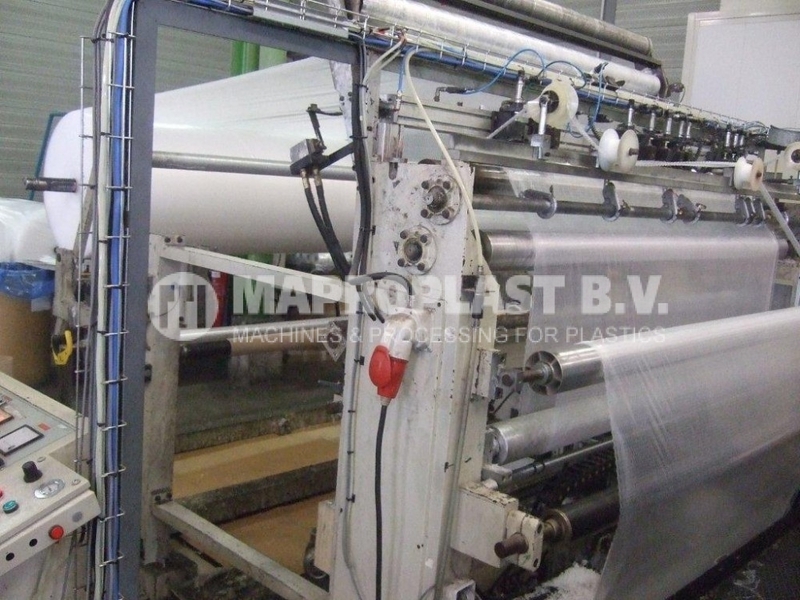 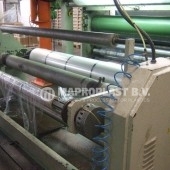 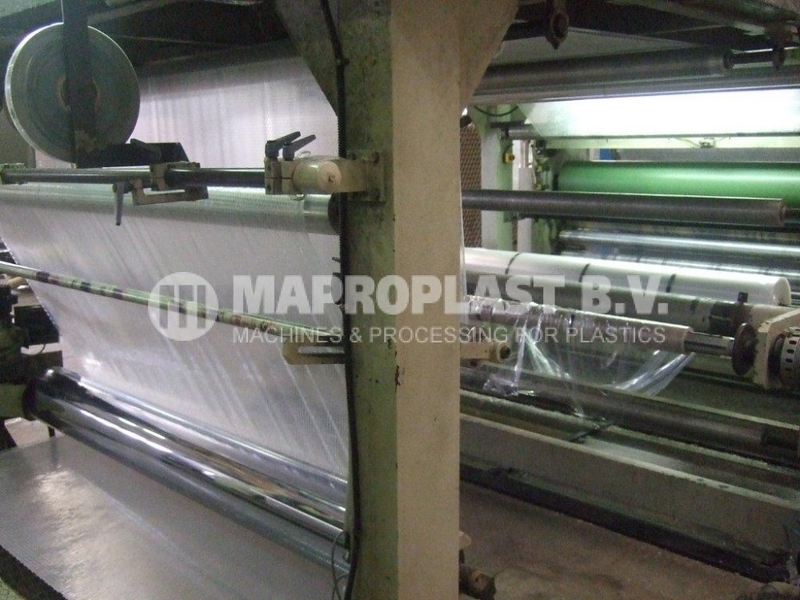 SKU: 10.1.006 Categories: Cast film/sheet, Extrusion lines Tags: extrusion machine, sheet, thermoforming, Bubble film line, Extruder, extrusion line, sheet extrusion line, single screw, used machine, used plastic machine Brand: colines.